Sean Dillon is managing director of Wealth Management at UBS. 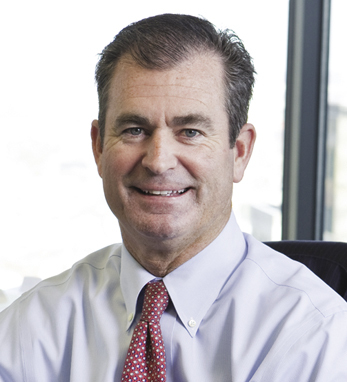 He has over 25 years in the wealth management business, beginning with a career at Salomon Brothers, later joining PaineWebber, which is now UBS, when he moved to Boston. Sean was honored as one of Barron magazine’s “Best of the Best” winners in their circle financial advisor awards. A second-generation Irish American with ancestors from Cork on his father’s and Galway on his mother’s side, Sean speaks proudly of his Irish heritage saying that “the groundwork that was laid by our Irish predecessors is now the stepping stone of America’s future success.” His strong work ethic began at an early age selling newspapers in his hometown of Rockaway Beach, New York. He later attended the College of the Holy Cross and graduated in 1983. When he’s not working, Sean loves sports and competition, whether playing golf, core training, or coaching the Girls AAU team which has won four state championships. Sean also sits on a number of boards including the Wellesley Education Foundation and the Autism Society of America. He lives in Wellesley, Massachusetts with his wife Suzanne and three children, Christopher, Kevin, and Lauren.